A Canada Post truck delivers mail in Montreal. The federal government is making permanent an interim order preventing Canada Post from delivering Your Ward News, a quarterly publication whose content has prompted hate crimes charges. The post office has not delivered Your Ward News since May 26, 2016, when an interim prohibitory order was issued by the minister of public works and government services. At the time, postal workers, along with many people who had received the tabloid in their mailboxes unbidden, were angry at the content of the paper, which they say crossed the line into pro-Nazi hate propaganda. The minister’s decision prompted a request for a review by James Sears, editor-in-chief of Your Ward News, and Leroy St. Germaine, its publisher. An independent review board was convened. It held hearings, received submissions and considered the legal basis for denying mail service to the paper. The Centre for Israel and Jewish Affairs (CIJA), the League for Human Rights of B’nai Brith Canada and the Friends of the Simon Wiesenthal Center (FSWC), among others, were granted legal standing before the board and made written and oral submissions. On Nov. 15, 2017, while the board was still considering the case, Sears and St. Germaine were charged with wilfully promoting hatred against Jews and women. The charges arose out of material published in Your Ward News. That trial is expected to get underway in the near future. The board submitted its report to the minister on Aug. 28. It found that the process of denying mailing privileges to Your Ward News was not procedurally unfair, that “there were reasonable grounds to believe that the affected persons (Sears and St. Germaine) have, by means of mail, sent or caused to be sent items that include hate propaganda” and material that could be considered defamatory. Jewish groups applauded the minister’s decision to impose a permanent ban on the delivery of Your Ward News. 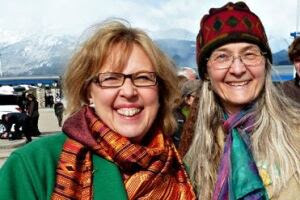 “We commend Minister Qualtrough for her principled decision. 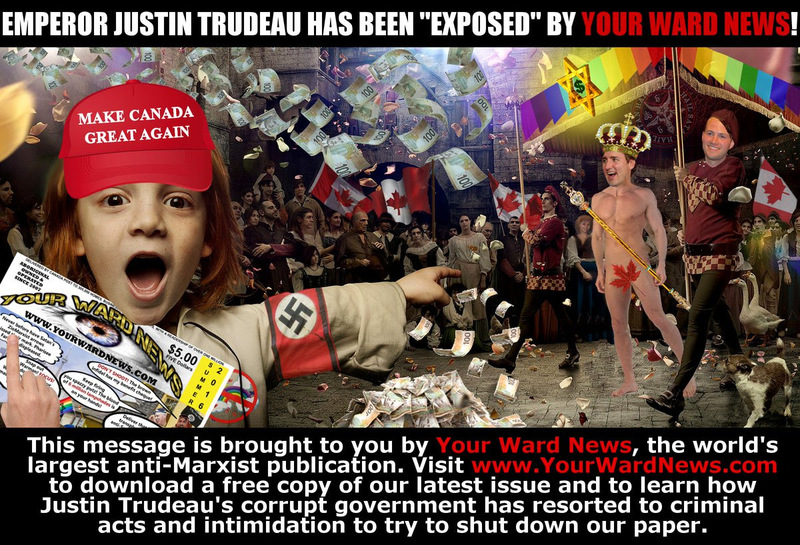 Your Ward News promotes disgusting anti-Semitic conspiracy theories, misogyny, homophobia and racism,” said Noah Shack, CIJA’s vice-president for the Greater Toronto Area. “Given the victimization of our community alongside its disrespect of women and most other communities, we are very pleased about this outcome. This is in addition to hate crime charges laid against the paper’s authors now underway,” said Avi Benlolo, FSWC’s president and CEO. Not everyone applauded the minister’s decision. Paul Fromm, a long time supporter of white supremacist causes and director of the Canadian Association for Free Expression (CAFE), responded to the board’s findings on CAFE’s website. “Your report takes Canada one sad further step into the swamp of a cultural Marxist police state. How can we wag our prissy preaching finger at Russia or Iran for suppressing criticism and free speech and do much the same thing here? You have joined a long list of humourless puritans (religious and otherwise) through the centuries (who were) unable to appreciate spirited satire, which pricked the pompous and privileged and supported the ignored and dispossessed,” Fromm wrote. In a healthy adult nation, if you receive a newspaper FREE that you do not like, chuck it in the blue box. However, Canada is becoming an increasingly repressive, hysterical state where precious privileged snowflakes cannot abide any views but their own and want people to call the police. The present target of the anti-free speech League for Human Rights [you gotta be kidding!] of B’nai Brith is the wickedly satirical newspaper YOUR WARD NEWS. 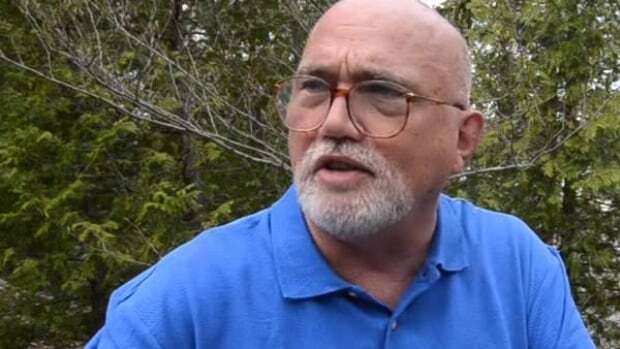 On January 11, dissident University of Lethbridge professor, Tony Hall, who had been suspended without pay since early October, for his views critical of Israel widely circulated on the Internet, has now been suspended with pay, but his own university is filing a complaint with the Alberta Human Rights Commission — a mortal enemy of free speech. If found guilty by a body with loosey-goosey rules of evidence or threshholds for guilt, Prof. Hall could then, in the university’s view be legitimately fired, thus doing an end-run around academic freedom. One of the agendas of Dr. Mahon and those behind them is to overthrow the authority of the collective agreement between faculty and administration (Handbook) by seeming to leave it to the Alberta Human Rights Board to justify my suspension outside the Handbook provisions. A quick way to describe the plan would be to identify it with the objective of union busting. longtime professor accused of espousing anti-Semitic views. Thus, it’s quite clear that Prof. Hall’s crime is suggesting an Israeli connection to 9/11 and saying that the so-called holocaust should be debatable. And shouldn’t it? The Canadian Press report continues: “‘From the findings of that assessment, the board has decided to proceed with a complaint to the Alberta Human Rights Commission against Dr. Hall for publishing statements, alone and in collaboration with others, that could be considered hateful, contemptuous and discriminatory,’ it said in a statement Monday.” Shockingly, the university assails academic freedom and seeks to get a kangaroo court to do its dirty work. Prof. Hall is receiving some academic support: “Hall said the complaint is a way for administration to manoeuvre around its collective agreement with faculty. Not surprisingly, the League for Human Rights (but not free speech) of B’nai Brith, Professor Hall’s chief tormenter, whose complaints led to his present persecution, is delighted: “Amanda Hohmann with B’nai Brith Canada said she’s pleased with how the university has handled the situation and says the reinstatement of Hall’s pay isn’t a vindication. Hohmann said Hall’s appearance earlier this month on a radio show posted on Stormfront — a white nationalist website that describes itself as a “community of racial realists and idealists” — shows the complaint is not an assault on the institution of tenure, as Hall argues, but a defence of human rights. So, silencing Professor Hall is “defending human rights”? the censors have gone mad! One wonders whether the Knights of Columbus could get a university to fire a professor who took issue with Catholic doctrine? Didn’t think so!